Mackinac Island is truly a blast from the past. Brick streets, horse drawn carriages, old time bars, even the UPS package delivery is done by horse. For many the island is simply a tourist destination, and it most certainly is that, however, it is also a microcosm of a community and economy. The fudge is cliche, but it is damn good, much like the salt water taffy. A bike ride around the island is really where it's at. The ride is a simple eight mile jaunt around the entire island. Nearly all of the more interesting aspects of the island can be seen on the ride. The shops, the houses, the parks, the marina, and the hotels. If you are looking for a nice little hike, I recommend taking the short climb up to the Grand Hotel. This establishment is one of what used to be many hotels like this. Nearly all have burned down by now, but this massive beauty is still standing strong. The hotel has catered to many, tourists, travelers, and even presidents. I hope everyone enjoys the couple of photographs I took a few weeks back while here for work with my wife. 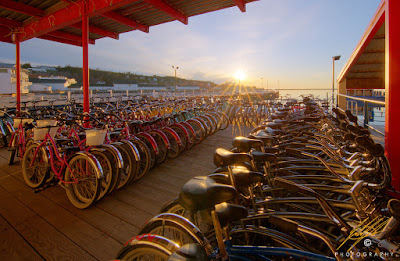 "Bike of Mackinac" - Canon 6D, Canon 11-24L (@20mm), ISO 100, F/22, Four photographs hand blended in PS CS6. 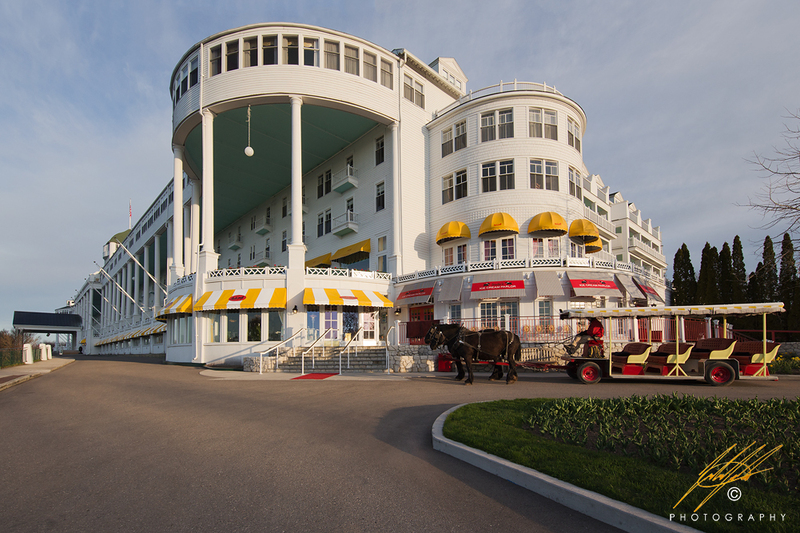 "The Grand Hotel" - Canon 6D, Canon 11-24L (@11mm), ISO 100, F/11, 1/60th of a second. Indeed that is the hardest part for an artist to figure out. Well I think that you have made it look easy and you are going in a really well and manner tone that will be success.